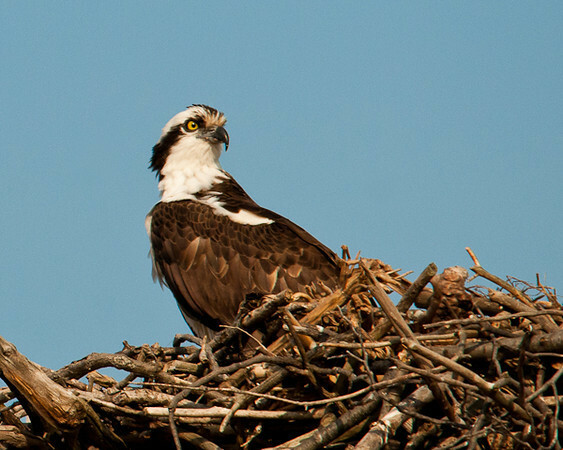 There is an Osprey nest right by the road just north of Union Springs, NY along the east side of Cayuga Lake. The female was in the nest while the male was perched beside the nest. They were not at all bothered when I stopped to get shots from my truck window on the opposite side of the road. Building that nest required quite an effort.